For smaller estates, those with under $75,000 of undesignated personal property or $100,000 of undesignated equity in real property, probate may not be required. There are still steps to take in order to pass the assets, but the process moves a little faster and can be much less expensive than a probate. For Personal Property, a personal property affidavit may be a sufficient way to transfer an asset. However, even with the affidavit, financial institutions may require court issued letters testamentary (designating a personal representative) before they will distribute assets. In those cases, a probate may be required for assets valued under $75,000. Still, using a Personal Property Affidavit to collect assets is normally the first step in a smaller estate, and can be much more cost effective than beginning a probate. For Real Property with equity valued under $100,000, an Affidavit for Transfer of Real Property may be sufficient. The Real Property Affidavit can be an easier way to transfer a piece of property, and should be attempted before going to a probate to transfer assets unless there are contested issues with the disposition. 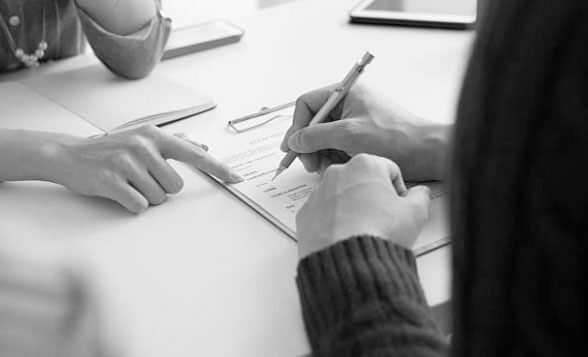 In any case, an attorney should be consulted before taking the small estate administration steps, in order to determine what assets will be collected and plan the most effective route to take. At Steven M. Jackson Law Group, we provide a free mapping consultation to discuss the estate you are trying to transfer.